INDULGE 實驗創新餐酒館: 【Before x After ∞ 烹食x調飲】之東 "The East"
【Before x After ∞ 烹食x調飲】之東 "The East"
Let's embark on a journey through our palates. 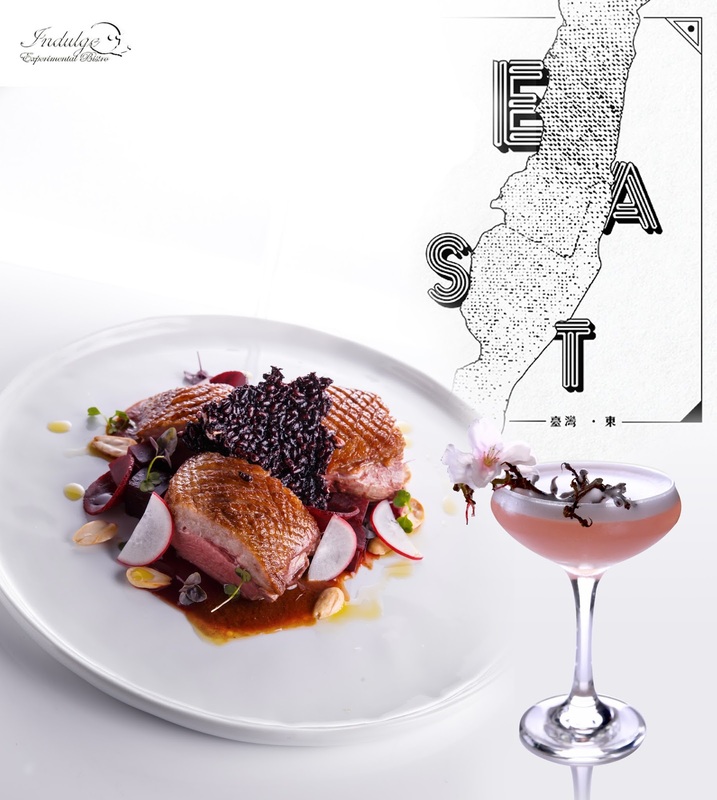 Inspired by our homeland, Taiwan, combining local culture with classic cocktail elements to depict the scenery east part of Taiwan. Using fresh grapes, Sakura flower salt, and egg white to create the silky texture and savory flavors, the Gin based cocktail " Sakura Blossom" pairs perfectly with the plum sauce in " Roasted Duck Breast with Plum Beet Sauce". The tender and juicy Taiwanese duck breast is a spectacular view on the palates! 【Before x After ∞ 烹食x調飲】之南 "The South"
【Before x After ∞ 烹食x調飲】之北 "The North"